I had made a semi-serious promise to myself that I would try to only make "practical" 3D prints as the boys keep asking for silly cartoon and video game characters. When they recently requests prints of "Rick and Morty" characters, I insisted I would only do it if they did something creative, like paint them. (especially since the printer wasn't working and it would take considerable effort to get it printing again). There were agreements and head nods all around. 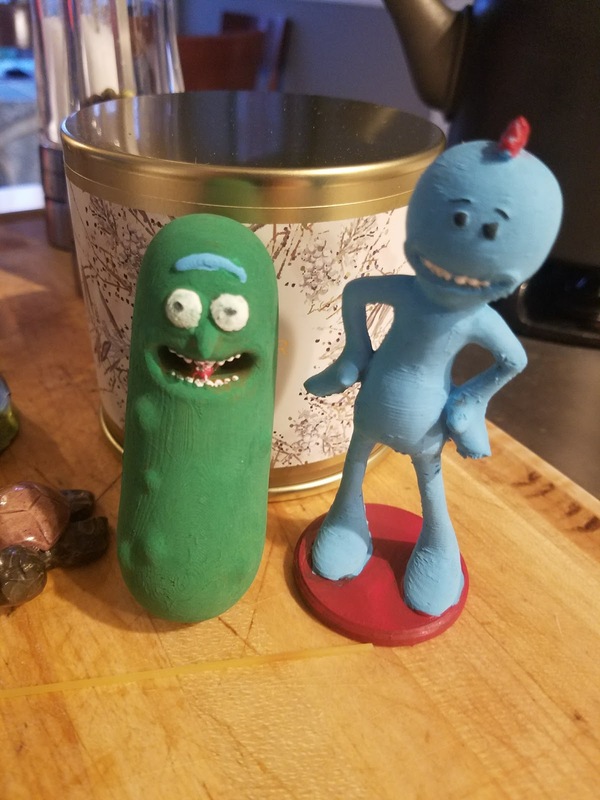 Well, the prints printed (this is Pickle Rick and Mr. Meeseeks)...but it turns out dad did the painting, too.